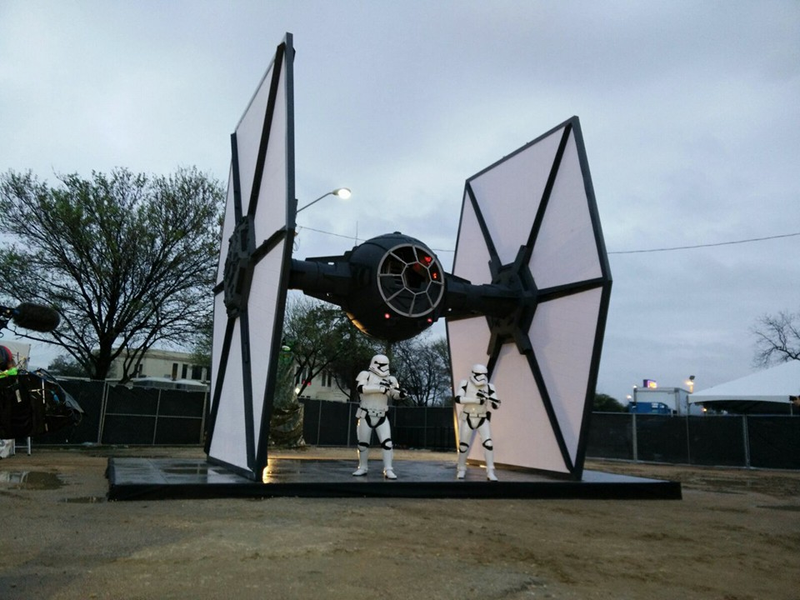 If you’re anywhere near this year’s SXSW in Texas, you owe it to yourself to check out one really cool exhibit: a life-sized First Order TIE Fighter, constructed by prop building group Project X1. The group is run by Belgian 501st Legion members, who have a reputation for building insanely detailed, life sized props: since 2011, they’ve constructed two other TIE Fighters: a regular one, and the one flown by Darth Vader. The prop has been installed at SXSW’s South Bites Trailer Park, and it’s part of a display put on by Disney to promote the upcoming DVD release of The Force Awakens.